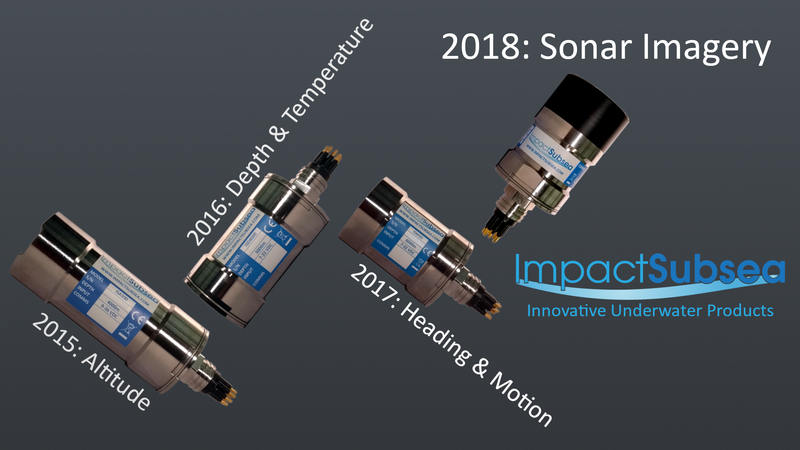 Three years ago today Impact Subsea launched its first underwater sensor for the ROV & AUV market – the ISA500 Altimeter with optional integrated AHRS. Since that day, Impact Subsea has continued to develop a family of highly capable underwater sensors, systems and supporting software. In addition the company has added supporting products such as underwater housings and services such as pressure testing. Later this year the family of underwater sensors will expand once again with the release of the world’s smallest imaging sonar. If you have not looked at our range of underwater sensors and systems for some time you can quickly catch up here. If you would like to discuss our underwater technology in more detail please contact us – contact details can be found by clicking the ‘Contact Us’ button above.